Every year, since 2005, my mom and I have spent quality time at Disney World. Throughout the nine years we been going, we have stayed on property. We have stayed The Caribbean Beach Resort, All Star Music, and Pop Century. I love Pop Century the best and have called it my home away from home. Anyway, every year they offer a deal where you spend enough money and you can get a special Item. This item usually a throw, or pin set...you can only get this item by spending the amount that is posted. Where am I going with this? Well, last Friday on the 50th Anniversary of the JFK assassination, I decided to go to the Good Will. At first I walked around perhaps 2 or 3 times and did not see anything other than a Mickey and Minnie Wedding Frame that was broken. My 3rd time around I found a Princess Frame, which I have yet to take a picture of along with a feeder for chicken...that's a whole nother story. But on my 4th go around I decided to check the blankets in case there was something there...and there was. The price was $5.99, but knowing what someone had to spend to get it, I knew $6.00 was a good price. Which makes me ponder, why spend that much money on something you will donate later. 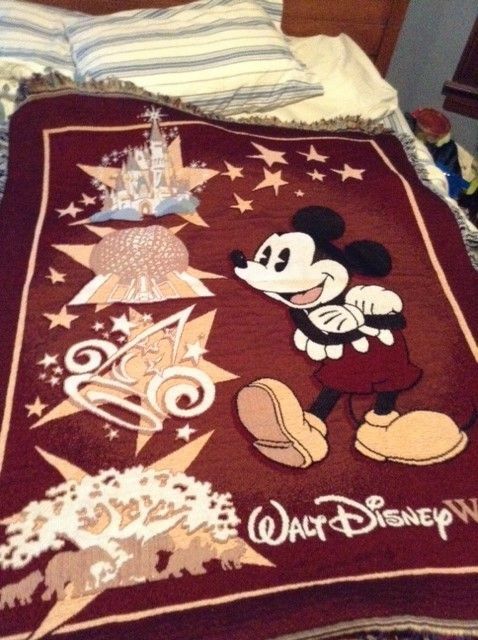 We have several throws from Disney World... One I got from a garage sale for $1.00...yes $1.00. Then i got 2 other throws made of fleece. One pictures the castle, which I love and the other throw we got last year in 2012, which pictures Mickey Mouse standing in front of the four park icons. It's main color is blue. Just a side note, last year they also had a starter set of pins as their deal, and I got the whole set...no. I didn't buy it from the store, but traded pins from cast members around the parks. Yey! No. I'm not going to pick up smoking but I really liked it. I know it is vintage. The only thing about it is that the velvet on the bottom is missing. Oh well. For $0.99 where can you go wrong? 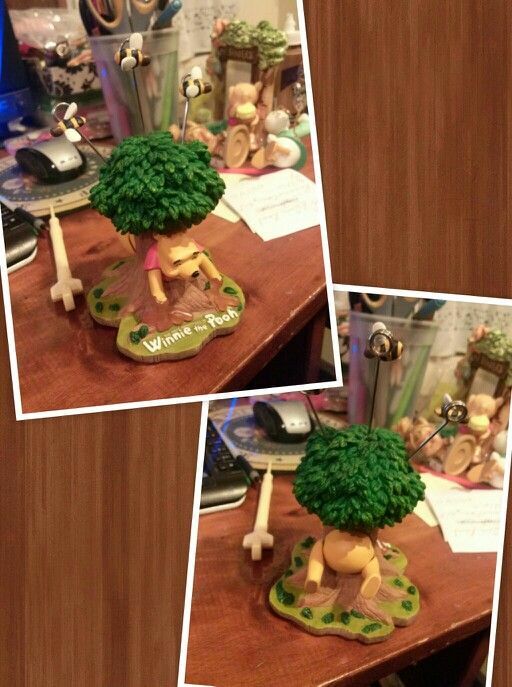 Alrighty... My 3rd and last find of the week was this Winnie the Pooh card holder. I have seen similar items to this where they hold miscellaneous things. It still holds the park price sticker on the bottom of $12.95. I bought it for $0.99. I can picture someone at the Pooh Bear attraction gift store, buying it for a present for someone, but somehow it ended up in the good will store... Finders keepers...right? Don't Forget to check me out (and follow) on Pinterest! !